We’re new in town. And already making a big impression on the neighborhood. Got it! Thanks so much for expediting this! You were very professional and would be glad to recommend you. We came on vacation for 3 weeks. In that short time we had to use the lab for numerous Coumadin tests. It would have ruined our vacation completely if it weren’t go to Any Lab. They were reliable and would recommend the lab to anyone who is in need of the service. I visited “Any Lab” with my grandson, unfortunately I had to doubt the paternity of my grandson due to the mother’s infidelity early on in the relationship with my son-coming to the lab was a very hard decision for me but a necessary one. 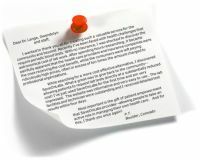 You explained the easy procedure for both grandson and myself and within a week we had the results we had hoped for. I would recommend this lab to friend’s and family. Just wanted to say how much I enjoyed meeting you Saturday. Your lab is wonderful, by the way. Such a different experience than the one located around the corner from us. Like I said the other day, the drive to your lab was worth it. Thanks again for your kindness. (Never thought having blood drawn would be a pleasant experience. Smile.) Have a terrific week! I just wanted to send a quick note to let you know how much I appreciate how great you are to work with! Thank you for being fabulous and I hope you have a wonderful summer! I didn’t spend any more than 15 minutes there and I even had my lab results the very next day!!! Surely enough, I would highly recommend this facility to anyone who is looking for a affordable lab testing and great service with fast results! Your facility has been great with our office in providing us with COC’s for our pre-hire candidates. The Service is great — everyone is respectful and nice, I get the result in a timely manner, the clinic is always clean, especially the nurse station. 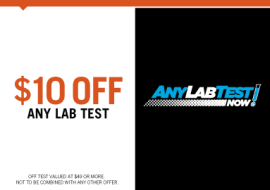 I’m thrilled to have found AnyLabTest, it’s an exceptional clinic. Everyone we spoke to was sensitive, prompt, and professional. Thank you for making a difficult situation easier to handle. Kudos for working through the issues and problem solving until a viable solution was reached. You persisted and continued to ask great questions, uncovering the important background that lead to your understanding, and the ability to match our services to what was needed. The staff here is very professional, quick, attentive, polite and Sensitive to customers privacy. They get a 10 out of 10 in my estimation. Great. Quick. Gave me a peace of mind immediately. Employee extremely helpful and patient. Now, I can allow myself to be a happy father without any doubts! Excellent service, Quick and painless. Thank you for being available. I thought the experience was very good and everything was done in a professional manner. Excellent service… I am grateful that this lab is here to help fast, cheap and informative. The staff are always friendly and quick to help. Rarely on the multiple trips my staff have made to your location have we ever been made to wait. Very helpful. First time I’ve come to this lab and I love it already. It was fast and easy, no waiting, and the people working were nice and very helpful. The prices were reasonable, the lab was clean, and it was easy to find. I am going to recommend this lab to my friends who need lab work done. The lab had so much information and knew so much about health. I am going to Come to ANY LAB TEST NOW® from now on. The Service was prompt and efficient. The staff were cooperative and informative. I had a very pleasant experience. Service is always fast and effective. Reasonable price. I feel like a valued customer. Great place for tests / varies needs. Everything was convenient and helpful. Price, hours of operation, speed of results and helpfulness of staff was exemplary. Thanks! I liked the service and every one here was very patient and nice. They helped me with all the questions I had. They made it so comfortable and relaxing. I knew I was in the right hands. I was comfortable and even they keep checking me just to make sure I was o.k.. Results came in so fast I didn’t have any problems or worry then when I came to pick up my results. They explained it to me and I didn’t have to wait and was fast in and out. I will certainly come again. Even an experience as short as 15 minutes needs to be a very comfortable one. That’s why we pride ourselves on providing the most personal care and understanding to every customer and company we partner with. Based on the cards and emails we’ve received in a short period of time, we’re proud to say we must be doing something right.